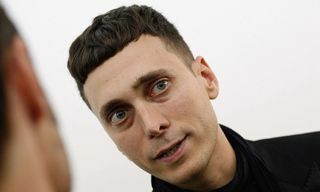 Hedi Slimane, one of fashion’s most divisive creative directors, caused uproar with his debut show for Celine in Paris last night. 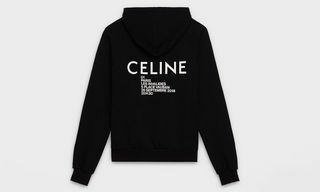 Over the past decade, under the leadership of Phoebe Philo, Celine had cultivated a die-hard following among women searching for an intellectual, high-brow alternative to the hyper-feminine labels that crowd the market. 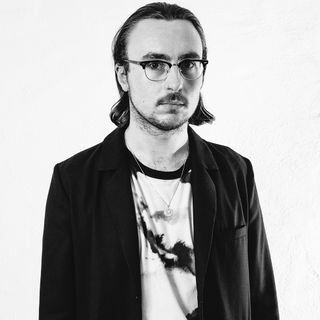 Therefore, when Celine’s parent group, LVMH, announced that its new creative director would be Slimane, who would also be launching menswear for the house, critics and die-hard fans were skeptical. Slimane had remade both Dior Homme and Saint Laurent in his own ultra-cool, sexualized image, which seemed incongruous to Celine’s intelligent, high-brow aesthetic. 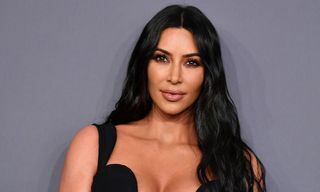 Things didn’t look much better when it was announced that Slimane would be dropping the accented “é” from the house’s name, in a similar manner to his Saint Laurent rebrand (he broke the internet back in 2012 when he dropped “Yves” from the house’s name). When the first models walked out for Celine’s SS19 show last night during Paris Fashion Week, Slimane’s signature was instantly recognizable. Much like his work at Dior Homme and Saint Laurent, Slimane remade Celine in his own aesthetic that draws heavily from rock-n-roll, LA glamour and youth. That meant his models were young, even by model standards, skinny, and overwhelmingly white. 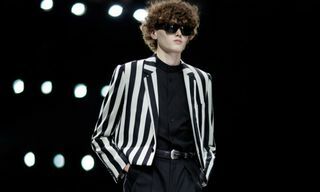 Anyone who’s stepped into a Saint Laurent flagship in the past few years will recognize Slimane’s menswear look in a heartbeat: black tailoring, black leather, black shoes, and black sunglasses. Cropped bombers and blousons, often in flashy colors and finishes, trench coats and ties. Slimane completely discarded the work of his predecessor when it came to the womenswear too. His ultra-short skirts, bare shoulders, delicate lace and pouffy silhouettes were a long, long way off from Philo’s work, which proposed an alternative to typical womenswear norms. Naturally, the internet has been ablaze with criticism. Legendary runway critic Tim Blanks, writing for Business Of Fashion, was especially scathing. However, at the end of the day, fashion is a business — and one that’s overwhelmingly dominated by conglomerates. 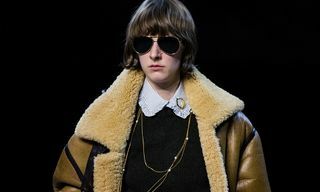 It’s telling that Slimane has moved from Kering, the owners of Saint Laurent, to its arch-rival LVMH, owners of Celine. 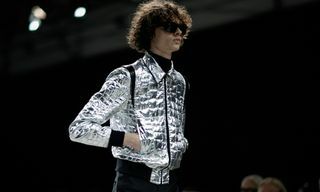 With him, he’s brought his highly successful formula of classic, edgy fashion, which was a smash hit for Saint Laurent. Away from the critics and social media drama, this was a commercially viable collection. Slimane’s aesthetic is classic, stylish, and easy to wear — a dream for buyers. It’s also telling that the menswear pieces on show will be also cut for women’s — a smart commercial decision, given how blurry the lines are becoming between gendered wardrobes these days. For more from Paris Fashion Week, take a look at Virgil Abloh’s celebration of sportswear at OFF-WHITE.